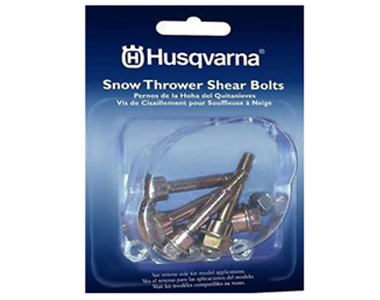 Ask us about the Husqvarna 580790401 Shear Pins and Nuts (6-Pack). Please no repair questions. Your Q&A may be posted to SnowblowersAtJacks.com to help other shoppers, like you, with their purchasing decisions. Thank you. Do these fit the ST300 series snowblower? Jean, these shear pins will fit Husqvarna ST300 series snow blowers.